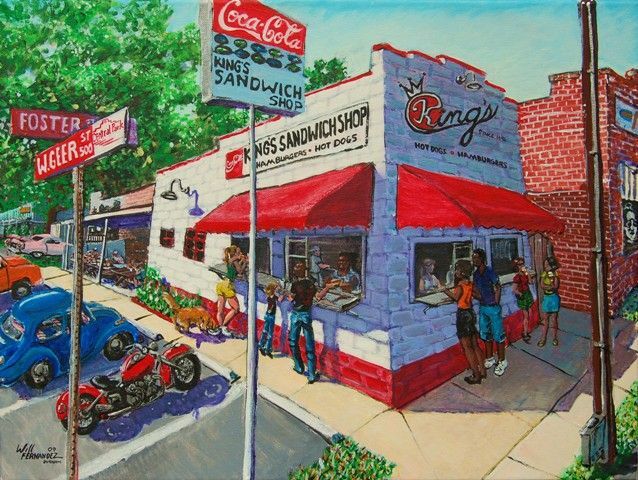 King's is an all-American, family-run business that remains an icon in the Durham community, symbolizing the traditional simplicity of days gone by. 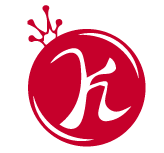 King's takes one back to a time when hardworking men and women would reward themselves and their families with a Durham Bull's game, good times with family and friends and an honest-to-goodness burger or hot dog--pure satisfaction to the soul. The McDermott family is honored to continue this tradition. 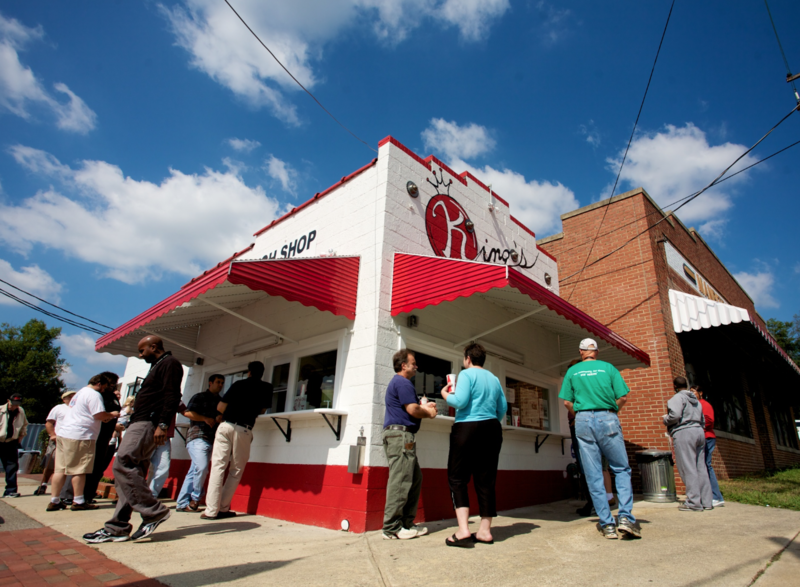 King’s has been fully updated to today’s restaurant codes, while at the same time preserving the original, rich, historic character that makes King's Sandwich Shop the best little hot dog stand and gathering place in Durham! 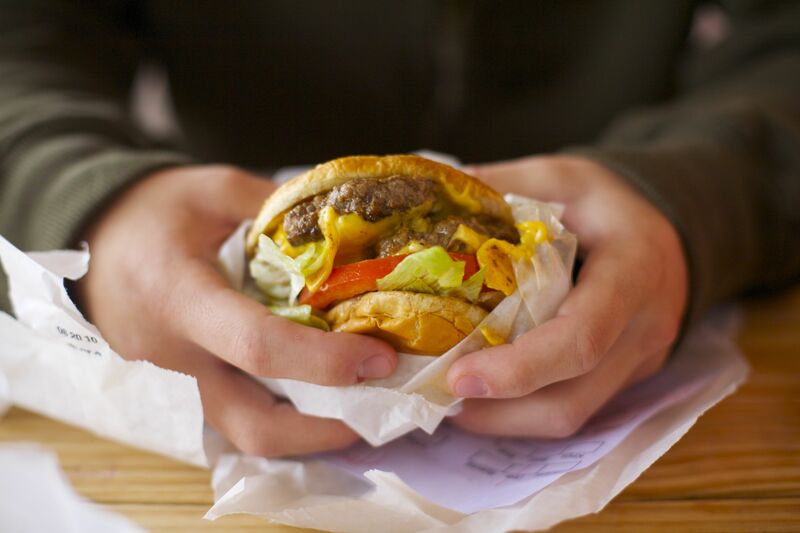 Whether you stop by for a hot dog before the game at the old ball park or swing by on your lunch break for a juicy burger….we know you’ll love the fresh, delicious food and fast, friendly service! Will Frenandez was commissioned to design the artwork for King's Sandwich Shop. He created and designed an original depiction on canvas (which adorns the King's t-shirts) and brought the logo to life on the front of the building.